Cartoon Network has announced more than 20 new and returning TV series for their 2013-14 season. They include Incredible Crew, Steven Universe, Uncle Grandpa, Clarence, Teen Titans Go!, Beware the Batman, Total Drama, Legends of Chima, Grojband, The Tom and Jerry Show, Adventure Time, Regular Show, Annoying Orange, MAD, The Amazing World of Gumball, The Looney Tunes Show, Ben 10 Omniverse, Dreamworks Dragons: Riders of Berk, Scooby-Doo! Mystery Incorporated, Johnny Test, Pokemon Black & White: Adventures in Unova, Beyblade Metal Fury, Almost Naked Animals, and Scaredy Squirrel. 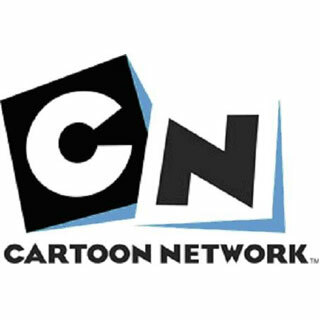 Cartoon Network will announce an impressive line-up of new original and acquired programming that began last Thursday, Jan. 24, with the premiere of Incredible Crew, a half-hour live-action sketch comedy show from entertainer Nick Cannon. Additionally, Cartoon Network Studios will produce three new original animated comedy series – Steven Universe, Uncle Grandpa and Clarence – each developed from its vibrant and prolific shorts program. Also from Cartoon Network Studios, two new original animated specials based on the #1 network series hits Adventure Time and Regular Show, plus a brand new, redesigned and re-imagined CG-animated special starring three of Cartoon Network’s earliest stars, The Powerpuff Girls – which also includes an original song performed by Beatles legend Ringo Starr – will premiere later this year. Among the network’s returning series, the Monday night line-up (7-9 p.m.) of original animated comedies that has ranked #1 on all television throughout 2012 among boys will return this year with all-new seasons, including the pop-culture phenomenon Adventure Time, the Primetime Emmy(R) Award-winning Regular Show, and additional new episodes of the Web-originated sensation Annoying Orange. Also returning with new seasons/episodes are Cartoon Network’s exclusive animated hit comedies The Amazing World of Gumball, The Looney Tunes Show, MAD, Scooby-Doo! Mystery Inc. and Johnny Test. · Incredible Crew: Incredible Crew, is a live-action, half-hour, sketch comedy series from producer and entertainer Nick Cannon. Every episode of this high-energy, fast-paced show delivers hilarious comedy bits, outrageous hidden camera pranks, original music videos and commercial parodies all with a distinct attitude – a contemporary blend of internet sensibility mixed with kid imagination. Incredible Crew showcases six up-and-coming young comedy stars featured in diverse roles in every genre Shauna Case (American Horror Story), Shameik Moore (Joyful Noise), Tristan Pasterick, Chanelle Peloso (Level Up), Jeremy Shada (Adventure Time) and Brandon Soo Hoo (Enders Game, Tropic Thunder). Nick Cannon serves as executive producer of Incredible Crew along with Michael Goldman and Scott Tomlinson. The series is produced by Cartoon Network Studios in association with NCredible Entertainment. · Steven Universe: Slated to debut in 2013, Steven Universe is a coming-of-age story told from the perspective of Steven, the youngest member of a team of magical Guardians of the Universe. The animated series was conceived as part of the shorts development initiative at Cartoon Network Studios, and is created by Emmy(R) and Annie Award-nominated writer and storyboard artist Rebecca Sugar (Adventure Time). Sugar is Cartoon Network’s first solo female show creator. · Uncle Grandpa: Also slated for 2013, Uncle Grandpa is based upon the Emmy(R)-nominated short of the same name and follows the exploits of Uncle Grandpa – everyone in the world’s “magical” uncle and grandpa. Created and executive produced by Pete Browngardt (creator of Cartoon Network’s Emmy(R), Annie and Annecy Cristal Award-winning Secret Mountain Fort Awesome), Uncle Grandpa was conceived as part of the shorts development program at Cartoon Network Studios. · Clarence: From creator Skyler Page, Clarence is a new original animated series about an optimistic boy who wants to do everything. Because everything is amazing! Clarence was conceived as part of the shorts development program at Cartoon Network Studios. · Teen Titans Go! : Featuring the return of Robin, Starfire, Raven, Beast Boy and Cyborg in all-new, comedic adventures, Teen Titans Go! will premiere in April 2013. Character-driven comedy is the order of the day as this new take on the superhero series focuses on the funny business that happens between saving the world and living together as teenagers without adult supervision. The series stars the principal voice cast from the original Teen Titans, and is produced by Warner Bros. Animation. · Beware the Batman: A cool, new take on the classic Dark Knight franchise, Beware the Batman incorporates Batman’s core characters with a rogue gallery of new villains not previously seen in animated form. Along with backup from ex-secret agent Alfred and lethal swordstress Katana, the Dark Knight faces the twisted machinations of Gotham City’s criminal underworld led by the likes of Anarky, Professor Pyg, Mister Toad and Magpie. Produced by Warner Bros. Animation, this action-packed detective thriller deftly redefines what we have come to know as a “Batman show.” Featuring cutting-edge CGI visuals, Beware the Batman, based on characters from DC Comics, is coming to Cartoon Network’s DC Nation block in Summer 2013. · Legends of Chima: In the mystical land of CHIMA, Laval the Lion and Cragger the Crocodile are the best of friends. An innocent escapade results in Cragger getting his first experience with the CHI, a powerful and sacred resource important to the delicate balance of CHIMA. The CHI gives awesome power to the user but needs to be managed carefully and certainly not by young adventurous animals. From LEGO, creator of Cartoon Network’s powerhouse action-adventure series Ninjago: Masters of Spinjitzu, Legends of Chima will premiere in Summer 2013. · Grojband: 12-year-old Corey is the front man for a rockin’ garage band. There’s just one problem: Corey’s lyrics stink. He just can’t think of anything cool to write about, until… he finds his sister’s diary that’s full of “teen angst and junk” and decides to use each diary entry as inspiration for crowd pleasing, heart stopping, foot stomping hit songs. Grojband is distributed by FremantleMedia Ltd. and produced by Fresh TV, creator of the hit animated reality franchise Total Drama Island. · The Tom and Jerry Show: The iconic cat and mouse rivals are back in The Tom and Jerry Show, a fresh take on the classic series. Preserving the look, characters and sensibility of the original, the all-new series shines a brightly colored, high-definition lens on the madcap slapstick and never-ending battle that has made Tom and Jerry two of the most beloved characters of all time. The Tom and Jerry Show is produced by Warner Bros. Animation. · Total Drama All Stars: Total Drama is back, but this time the team at Fresh TV have assembled the best loved and most hated contestants from seasons past to compete – Heroes vs. Villains style! Total Drama Island is produced by Fresh TV and distributed by CAKE Distribution. · Adventure Time Special: Highly-regarded comedic actors Neil Patrick Harris (How I Met Your Mother) and Donald Glover (Community) will be featured in a special episode of Cartoon Network’s hit animated series Adventure Time. The episode, “Bad Little Boy,” is slated to premiere February 18 as part of the series’ fifth and current season. Reprising his role as Prince Gumball from season three’s much-loved gender switch episode “Adventure Time with Fionna and Cake,” Neil Patrick Harris will join Donald Glover, as Marshall Lee, the musical male counterpart to fan favorite Marceline the Vampire Queen in this second installment of the Fionna and Cake (derived from Finn and Jake) saga. In this special episode, the princesses are sick and tired of Ice King’s crazy Fionna and Cake stories, so Marceline stops by the Ice Kingdom to show him how it’s done. · Regular Show Special: Regular Show, Cartoon Network’s Emmy(R) Award-winning animated comedy featuring best friends Mordecai, a six-foot-tall blue jay and Rigby, a hyperactive raccoon, is slated for a 30-minute Thanksgiving special, Regular Show style. Mordecai and Rigby accidentally ruin Thanksgiving and must find a way to save it before their families arrive for dinner. The gang pulls together to help make it the best Thanksgiving ever! Regular Show, currently in its’ fourth season, has become an instant hit continually ranking #1 in its time period among all key boy demos across all of television according to Nielsen Media Research. · The Powerpuff Girls Special: “Sugar, Spice and Everything Nice… plus a dash of mysterious Chemical X” were the essential ingredients that created Blossom, Bubbles and Buttercup – also known as The Powerpuff Girls. This groundbreaking and Emmy(R)-winning series, created by Craig McCracken, ran on Cartoon Network from 1998-2005 and will soar again as a brand-new, redesigned and re-imagined CG special coming in 2013 where the trio of pint-sized super heroines will be called upon to rescue not just the city of Townsville, but the USA and the world! Featuring an original song “I Wish I Was A Powerpuff Girl” performed by Beatles legend Ringo Starr, who also portrays Townsville’s most famous flamboyant mathematician, “Fibonacci Sequins,” this all-new original special comes from a powerhouse creative team featuring animation talent from around the globe including acclaimed director Dave Smith and award-winning art director Kevin Dart and is produced by Cartoon Network Studios in association with UK’s Passion Pictures. The special also features the original voice cast reprising their iconic roles and will premiere later this year. · The Yoda Chronicles: LEGO Star Wars returns in epic style with THE YODA CHRONICLES, a thrilling, funny and action-packed new LEGO Star Wars story told in three animated TV specials! Set in the “Prequel” Star Wars timeline, THE YODA CHRONICLES stars the one and only Yoda – the Jedi Master who has seen it all, done it all, and taught generations of Jedi Knights – in an all-new adventure. With the help of a fresh class of Padawans, Yoda leads the Jedi in a desperate fight to stop Darth Sidious and his minions from creating a new super-weapon that could crush the Republic and win the war for the forces of Evil. What do you think? Are you looking forward to any of the new shows? How about the returning ones? More about: Adventure Time, Adventure Time: canceled or renewed?, Almost Naked Animals, Almost Naked Animals: canceled or renewed?, Annoying Orange, Annoying Orange: canceled or renewed?, Ben 10 Omniverse, Ben 10 Omniverse: canceled or renewed?, Beware the Batman, Beware the Batman: canceled or renewed?, Beyblade Metal Fury, Beyblade Metal Fury: canceled or renewed?, Clarence, Clarence: canceled or renewed?, Dreamworks Dragons: Riders of Berk, Dreamworks Dragons: Riders of Berk: canceled or renewed?, Grojband, Grojband: canceled or renewed?, Incredible Crew, Incredible Crew: canceled or renewed?, Johnny Test, Johnny Test: canceled or renewed?, Legends of Chima, Legends of Chima: canceled or renewed?, MAD, MAD: canceled or renewed?, Pokemon Black & White: Adventures in Unova, Pokemon Black & White: Adventures in Unova: canceled or renewed?, Regular Show, Regular Show: canceled or renewed?, Scaredy Squirrel, Scaredy Squirrel: canceled or renewed?, Scooby-Doo! Mystery Incorporated, Scooby-Doo! Mystery Incorporated: canceled or renewed?, Steven Universe, Steven Universe: canceled or renewed?, Teen Titans Go!, Teen Titans Go! : canceled or renewed?, The Amazing World of Gumball, The Amazing World of Gumball: canceled or renewed?, The Looney Tunes Show, The Looney Tunes Show: canceled or renewed?, The Powerpuff Girls, The Tom and Jerry Show (2013), The Tom and Jerry Show (2013): canceled or renewed?, Total Drama, Total Drama: canceled or renewed?, Uncle Grandpa, Uncle Grandpa: canceled or renewed? Talented script writers in short supply or to expensive? Jake is as bad as Finn, i’ve completely agreed with Tiffany’s about jake,he’s a terrible dog! As long as I’m going to said this but,i’d think free all of oo’s criminals would make an example for finn’s actions. US OR HIM AND HIS DOG!!!! I don’t understand why DreamWorks Dragons Seasons 1 and 2 have been taken off the air. No reruns. Nothing. It doesn’t make sense to me that all the other cartoons are run over and over every day and Dragons isn’t even playing anymore. I don’t have the luxury of a computer at home or even a DVD player so I must rely on my tv. I feel cheated. Dragons is an incredible show and I enjoy it thoroughly, but can’t watch it because you took it off the air. What gives?